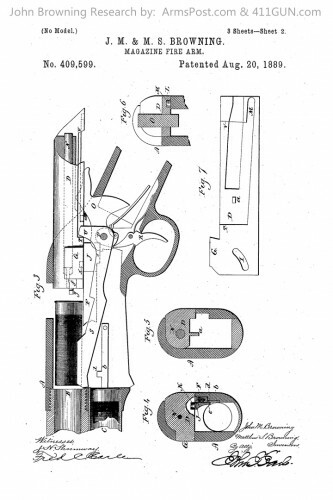 On August 20th, 1889 John Moses Browning was granted US Patent 409599. 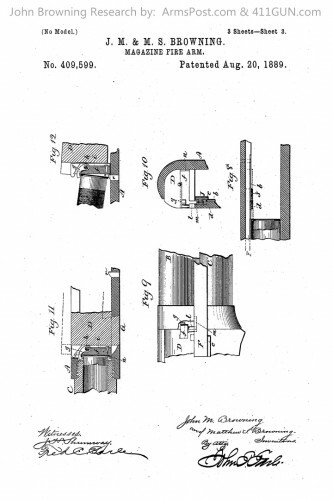 He had applied for this patent on May 21st, 1888. 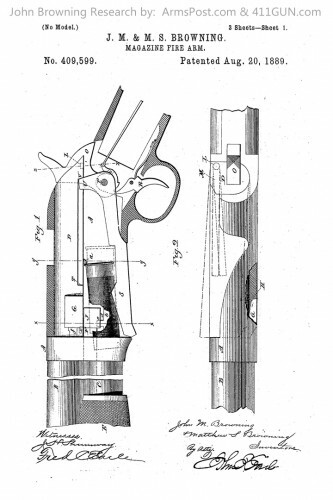 This patent was dealing with a Magazine Firearm. The particular magazine firearm is a shotgun with a tube magazine and a hammer firing mechanism.